One thing that often goes overlooked when implementing collaboration software (or any kind of software), is that it's not always easy to get employees to actually use it, let alone use it properly. As technology progresses, it's becoming increasingly easier to streamline day to day logistics and keep employees on task -- and much of this is due to what is known as collaboration software. New social collaboration tools are popping up on what seems like a daily basis, allowing business to completely define organizational processes and tailor them specifically to the needs of their company. Collaboration software, then, is a game changer. Even though collaboration software is generally easy to use, it can create a barrier for those who are less than familiar with utilizing such tools. If you don't take the time to intervene and nip this issue from the start, it can create a number of problems that might be difficult to remedy down the road. Social tools come along with a great deal of benefits, some of which simply cannot be gained through other methods. Understanding how this type of software can bring your business to another level is the first step in determining how to actually get the most out of using it, and there are countless reasons to consider. Increased Collaboration — Collaboration between employees is the crux of any successful business, yet it's not always easy to maintain. Social business software (SBS) provides a platform for your employees to not only interact with one another in a virtual environment, but facilitates an opportunity to bounce ideas and knowledge off of one another. In the end, you have a more collaborative workforce than you likely would using more traditional methods. 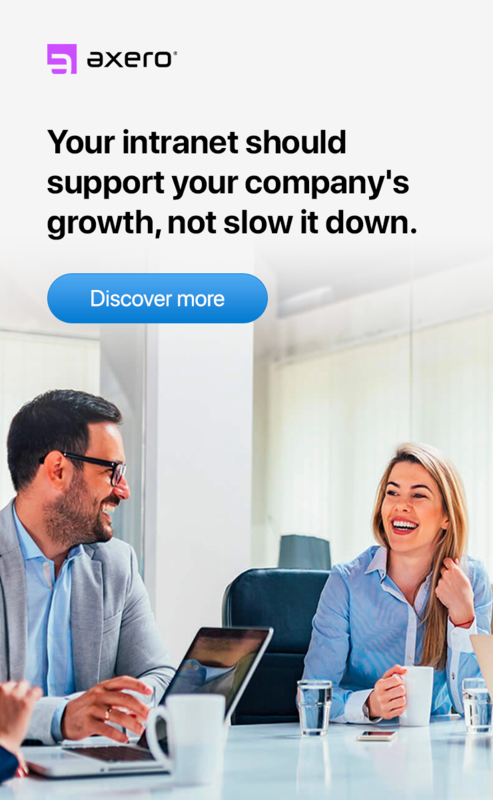 Streamlined Processes — As a business grows in size and scope, it's not atypical for internal processes to sometimes get lost in the mix. Marketing, sales and other processes need a central hub to work from in order to ensure proper organization, and social business software is the perfect solution. The more you can cull everything together in a single place, the less your chances of running into problems will be. Improved Ability to Work Remotely — Remote work has become a huge part of the modern business landscape, as all it takes is a laptop and an Internet connection in order for people who are scattered around the world to work with one another. Working remotely can come with a variety of issues, especially when it comes to collaborating and sharing documents. SBS provides a singular space where employees can not only interact with one another, but tackle projects of any kind as if they were all in the same room. Faster & More Efficient Method of Reaching Solutions — Any business that provides products and services to the public or other businesses focuses on providing solutions. If you're selling IT services, for example, you're basically selling solutions to problems that your clients can't address on their own. Reaching these solutions isn't always easy, however, which is why it is essential to find ways in which you can cut down the amount of time it takes to do so. Social collaboration software brings together the best and brightest minds of your company, allowing them to bounce ideas off each other in a quick and organized manner. The end result is a more direct route towards the effective solutions that make your business what it is. With employee collaboration software on your side, many of the difficulties that come along with managing a team simply fade away. In order to ensure that you're making it as easy as possible for your employees to take advantage of social collaboration software, it's important to choose a platform that suits your business needs. Any strong piece of collaboration software will come along with a variety of basic features, all of which can help to make it easier for employees to collaborate with one another in a virtual space. Collaboration software should allow you to share documents with others, create specific groups within the overall space, feature instant messaging, and come along with activity streams or newsfeeds that details recent happenings. Perhaps most important, is the ability to create cases, wikis and blog posts. These can not only be used internally as part of your company's knowledge base, but externally as well -- to bring in potential new business. There are countless pieces of employee collaboration software on the market that take a "one-size-fits-all" approach. These programs are specifically designed to be utilized by a variety of different types of businesses with minimal effort, they provide the lowest common denominator, which is perhaps why some companies choose to embrace them. The problem with these types of software, is that they don't allow for any personalization or unique customizations to fit them into how your business and your people actually work together. Your business already has a "way that you all work together" established. Having to change this "way" could be an issue that disrupts your workflow or even how you work with customers. Furthermore, businesses grow and evolve, and the software you use needs to grow and evolve with you. If you choose flexible software that can be modified and tailored to fit the needs of your company, this becomes an asset in the present and more of an asset into the future. Many "higher-ups" want to stay on the cusp of new technology, and there's nothing wrong with embracing such a notion. It's important to bear in mind, though, that you're always going to be taking a risk by using software that hasn't been thoroughly tested by a variety of different businesses. When searching for employee collaboration software, choose an option that has a good reputation in the industry and has served a number of clients well. This way, you'll lessen your chances of running into performance issues. No matter how streamlined a piece of collaboration software may be, there's no getting around the fact that you and your employees are likely to run into issues on occasion. This is especially true if you've never used SBS in the past, which is why it is exceptionally important that the platform you choose comes along with benchmark customer service. You'll want to know that you can pick up the phone and call someone in the scenario that you hit a roadblock, and some software companies simply don't offer this type of service. When inquiring about a piece of software, always bring this up to ensure you're making the right move. Once you have a quality collaboration solution in place, it's time to start thinking about ways in which you can ensure your employees are using it properly. There are a variety of factors that can come into play here, and taking a multifaceted approach is the most effective way to keep potential problems at bay. The key is to identify the needs of your employees and facilitate ways in which to meet them. If you're proactive, things should no doubt come together smoothly. 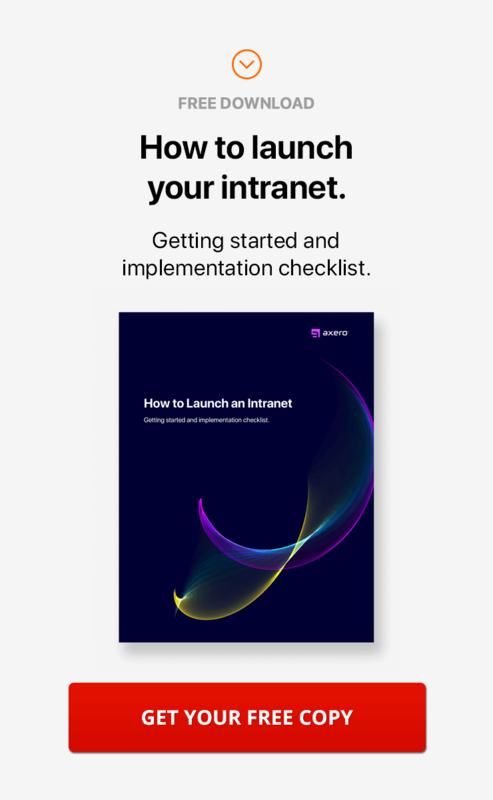 If there's any disconnect between you and your employees regarding the platform you are putting into place, it will likely come as a result of the fact that they might not know why you're implementing it in the first place. Explaining the benefits of collaborative software to your employees will help to demystify it, especially if you do so in an organized manner. After all, even if you fully understand what your business has to gain from using collaboration software, this doesn't necessarily mean that your employees do as well. Helping your employees to understand the benefits of social business software is a great start to getting them to use it regularly, but you'll get even more mileage out of pointing out areas in which it will actually help to improve workflow. If your internal processes are all over the map (wild and unorganized), make it a priority to point out how collaboration software will help to streamline things. 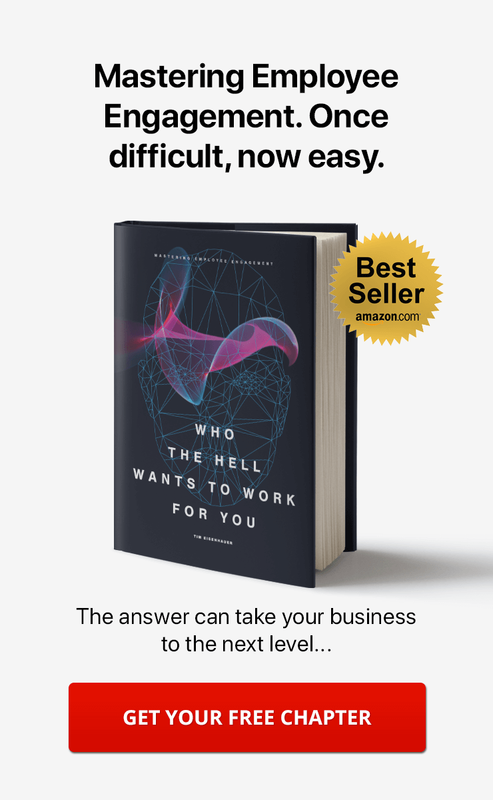 It's important to remember that no employee wants to work harder than they have to in order to achieve an end goal, and showing them how this type of software can make their lives easier will no doubt make them want to utilize it to its fullest extent. No matter how much you believe in your employees, you can't expect them to figure everything out on their own when working with a brand new piece of software. Sometimes, employees will avoid using social collaboration software simply because they don't quite know how to use it. Avoiding this problem from the very beginning is of the utmost importance, which is why you should always schedule a tutorial session. This can either be done in a physical space (such as a conference room) or through the software itself, as collaboration software can be used as a conduit for virtual meetings. Before scheduling a tutorial, be sure to make a list of all the things you feel you need to hit on, as it's important to avoid leaving anything out when you have the attention of your employees. If there's one way in which you can ensure that your employees are actually using your collaboration software, it's making it an essential part of day to day business. It can be tempting to make social business software an adjunct to the processes you already make use of on a daily basis, but this can be a tricky scenario. Anytime you give your employees the option to use or not use something, you're leaving open a potential for workflow issues. If you make collaboration software the sole tool for submitting work, attending virtual meetings, and other activities, your employees won't have the option to opt-out. Think about it like this: By giving your employees an email address, you're inherently forcing them to use "email client software," most likely Outlook or some other service. Well, instead of emailing someone to discuss a project or attaching files to an email, send them a message through the collaboration platform ... and upload your files into the collaboration platform ... then give them the link to the file. One of the best ways to not only get your employees to use social business software, but also to feel good about it using it, is to demonstrate and point out the benefits you are realizing. After you've integrated collaboration software into your day to day logistics for a little while, take a moment to cull together data or examples that shows what it's actually doing for your business. Once your employees have a thorough understanding of what their new work methods are actually doing in terms of helping everyone to reach a common goal, they'll be far more likely to embrace using collaboration software on a daily basis. Perhaps more important than anything else, you should always ensure that the culture of your business is one that encourages collaboration on a grand level before you even implement this type of software. Employees who aren't used to collaborating already will have a difficult time adjusting to doing so in a virtual space, especially if they are simply thrown into it. Work on facilitating collaboration as early on as possible, which will ensure a smooth transition into using social business software. Social business software isn't going away, and just about any type of business can benefit from utilizing it. It may seem intimidating to try to get your people to properly embrace employee collaboration software, but most modern professionals are open to this type of change. Remember, a little change is good, everyone needs it to stay fresh and engaged. 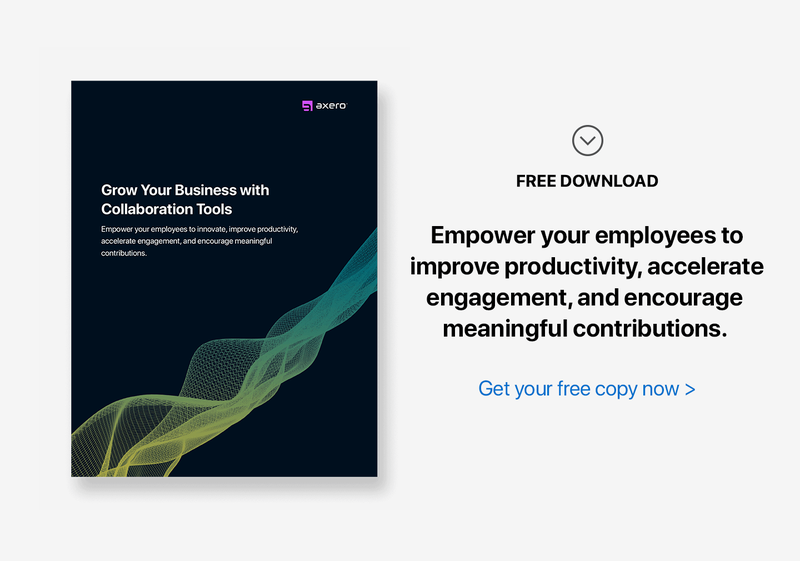 Once your employees start using collaboration software regularly, they're sure to see the benefits that comes along with doing so — especially if it makes their lives easier. The more you put into the preparation process before launching your new platform, the less likely it is that you'll run into any obstacles.